Coastal Engineer Gene Clark is working with a new group of investigators on finding additional uses for harbor dredge materials. This video provides further background. *Portable means that a dredge does not have to have major disassembly for over-the-road hauling between job sites. The list is believed to be reasonably current and inclusive but some firms may have been unintentionally omitted. The firms are listed in alphabetical order and their inclusion on this list does not imply endorsement by the University of Wisconsin. Please send corrections and additions to: Gene Clark-Coastal Engineering Specialist. In March 2013, the Great Lakes Dredging Team released a 12-page document, Beneficial Use of Dredged Material in the Great Lakes. It provides policies, procedures and examples related to beneficial use. 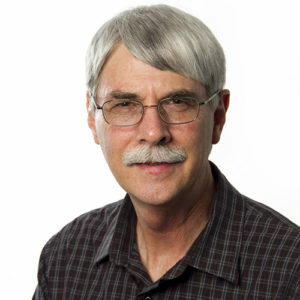 Wisconsin Sea Grant’s Gene Clark is a co-author. For more information on the beneficial use of dredged material, see the “Beneficial Use of Dredged Material” section below. The beneficial use of dredged material is the term used for utilizing dredged sediments for resource materials and as productive material not to be wasted. In order to maintain adequate channel depths within our port, harbor and marina channels and slips, accreted sediment is removed by a process known as dredging. Dredging can be used to initially excavate out the channel and/or port water area and also for maintenance as sediment would accumulate in the bottom of the previously excavated channel. The University of Wisconsin Sea Grant Aquatic Sciences Center has a few products to help estimate the cost and performance of sediment remediation projects. These products are tools to help estimate the economic benefits of remediation and to simulate remediation. The following list of contractors is intended to cover the state of Wisconsin, and the other Great Lakes states. The list is believed to be reasonably current and inclusive but some firms may have been unintentionally omitted. The firms are listed in alphabetical order and their inclusion on this list does not imply endorsement by the University of Wisconsin. Please send corrections and additions to: Gene Clark-Coastal Engineering Specialist. Please send corrections and additions to: Gene Clark-Coastal Engineering Specialist.